Queensland Health has conducted a successful early phase clinical trial of monoclonal antibody against the Hendra virus in humans. Dr Jeanette Young, Queensland Health’s chief medical officer, told The Courier Mail that all 40 participants of the year-long trial were well and had not suffered any negative impact from the treatment. The trial cohort comprised five groups of eight people each. Six groups were given the antibody and two were given a placebo. The subjects ranged from 18 to 65 years of age. Dr Young went on to say that though testing had been completed in mid-June, the clinical results would be released later in the year. “All participants remain well. No serious adverse events have occurred,” said Dr Young. Clarification—This article and its original title, “Hendra vaccine could work in humans too”, incorrectly implied that horses and humans could be treated with the same vaccine. In fact, the monoclonal antibody discussed in the story is unrelated to any equine vaccine. The title and story have been amended. Please clarify the information presented in the above article. 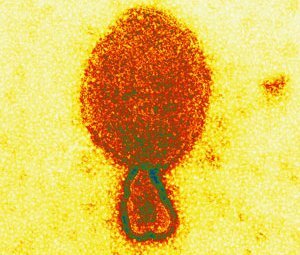 QLD health have been running a trial to assess the safety of monoclonal antibody therapy to hendra virus, which is NOT a vaccine. It has never been previously mentioned that the equine vaccine has been trialled in human, and there is no evidence to suggest that the trial is based upon the vaccine. Misinformation such as this is simply fuelling an already explosive situation, given the issues horse owners and veterinarians are facing with regards to Hendra and the vaccine. While Vet Magazine may have been in error stating a Hendra Vaccine for humans, it is a timely “error” in that it was for humans that a vaccine was initially thought most appropriate. The CSIRO was working on a vaccine to be used also for Nipah (which the HeV would likely supply). The issue is that in the US they wanted a vaccine for the vets and pig workers as epidemiologically it made no sense to try and vaccinate a staggering number of pigs that one could never be sure each and every pig both had the vaccine and seroconverted vs. a smaller cohort of pig workers that could also be tested for seroconversion (think Q fever, rabies). Likewise, for Hendra protection, it is the vets and horse handlers in endemic areas that should be vaccinated, not a staggering number of horses that move all over the country. It would be a foolish vet indeed that trusted and felt safe with such a scheme. Reading Deb Middleton’s Hendra submission and noting that the adjuvant used for the HeV roll out was changed from that used in the initial trials suggests that it was appropriately first studied for use in humans. What happened after that? Perhaps the AVA could shed some light on that answer.